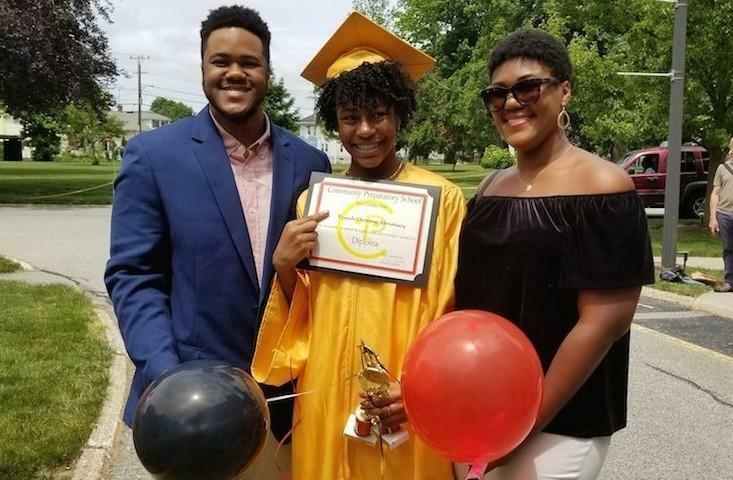 You can see the difference that a CP education makes in your children, as they become adults, say Pascale and Reggie Almonacy, whose three children—Cedrick, Tarah and Tessah—are CP graduates. 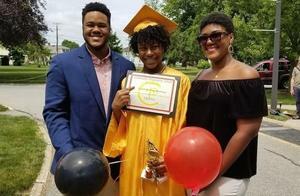 For the Almonacy family, “college prep” was the key phrase in a search for the right school for their three children. “Education was not just about reaching 12th grade, but beyond,” said mom, Pascale. 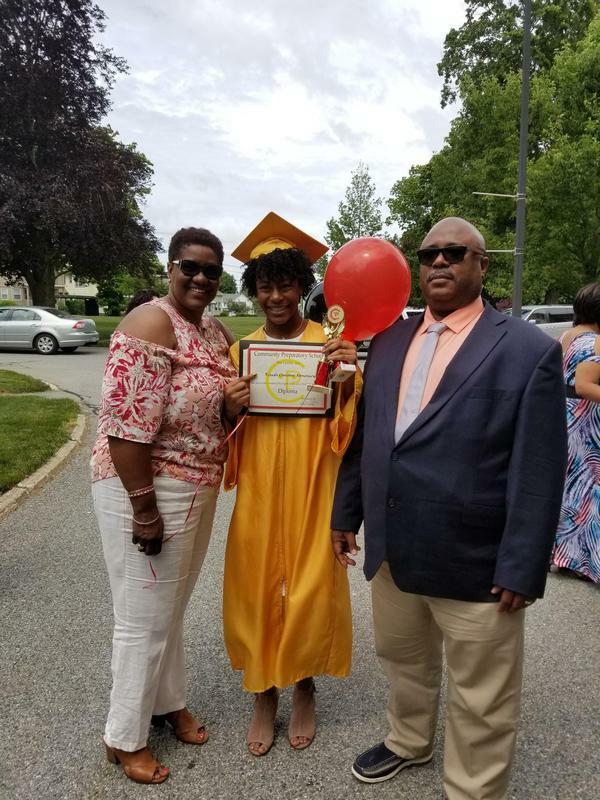 While applying for their oldest child, Cedrick, to attend CP, the Almonacy’s learned that financial aid was available for him to study there. That scholarships existed for academic achievement was a new concept for her family, Pascale said. Cedrick went on to attend St. Mark’s School for high school, eventually graduating from Rhode Island College. Meanwhile, the couple’s other children, Tarah and Tessah, also received scholarships to attend CP. Tarah moved on to Deerfield Academy. Currently, she is at Northeastern. Tessah presently attends Phillips Academy Andover. 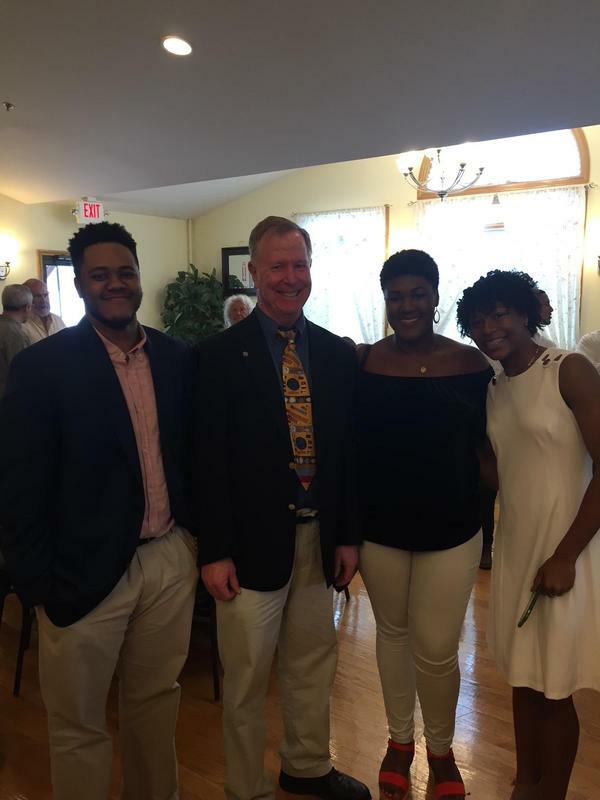 When Cedrick showed strong interest in boarding school for high school, CP teachers and staff encouraged him to make that dream come true, Pascale said. At CP, “the classroom always felt like a safe space,” said Tarah. “There was an opportunity to make mistakes without being shamed but being encouraged to try again. Tarah was “very serious about her education,” and wanted “to expand her world” by attending boarding school, said Pascale. Empowered by the challenging environment at CP, “Tarah did her own research on schools and made her own contacts,” she said. 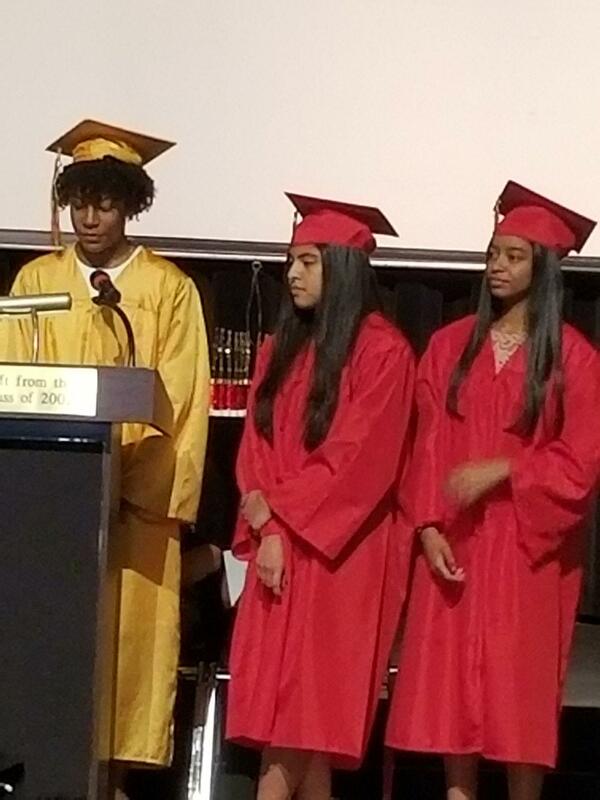 When Tessah, who was salutatorian of her class, was making her high school choice, Monica Rodriguez, Director of Placement and Graduate Support, provided “excellent guidance to help Tessah with her decision,” said Pascale. Pascale said that CP teachers went beyond schoolwork to help parents, such as calling families to share word that a sporting event went overtime, and that the children were running late. For example, Tarah and Tessah both benefitted from a Saturday math program established by “Mr. V.,” Francisco Velasquez, a member of the 6th Grade Team, she said. Her daughters also gained from the guidance of Azikiwe Husband, Director of Admissions and Student Activities. “He helped install critical thinking in them, no matter the subject,” Pascale said. While attending Deerfield, Tarah visited CP on trips back to Providence. “Teachers continued to listen, provide advice, and help her navigate the academic and social aspects of her new environment, said Pascale. CP “exposed me to a multitude of different cultures and people, and it ultimately expanded my world view,” said Cedrick. “The years I spent at CP taught me not to judge a book by its cover, and to accept people for their various differences. CP’s accepting community helped me build confidence, which has helped me in my transition into adulthood.